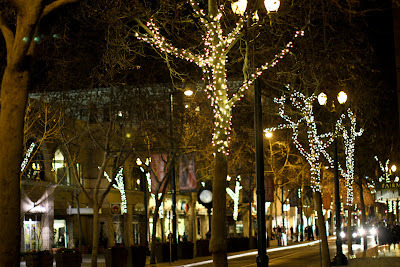 One of the top film festivals in the world is just a few weeks away from taking Downtown San Jose by storm! This year the festival has expanded to 5 different venues: Camera 12, Camera 3, The Rep, The California Theater, and even San Jose State University. Over 200 screenings will take place, including 45 world and US premiers, forums with actors and directors, VIP parties at restaurants across downtown, and even a Mavericks award ceremony. Over 80,000 people are expected to attend. This year, I think everyone will be plenty impressed with how far downtown has come. With all of the beatification projects and Groundwerx, the "Cinequest zones" have never looked so good. Mark your calendars for Feb 23 to Mar 7! To start selecting which screenings you want to attend, hit up this link for a full list of what's playing. Hope to see you there! 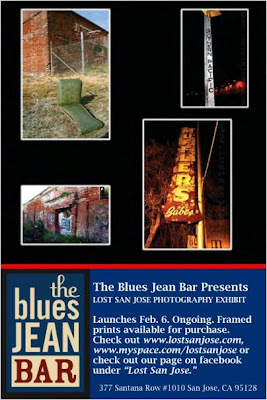 Feb 6th kicks off a photography exhibition of Lost San Jose in the Blues Jean Bar at the Row. If you happen to be there between 7-9pm, you can also grab some drinks and meet the photographer himself. He has some pretty amazing work, definitely worth checking out! 3 San Jose Companies make Fortunes Magazine's "100 Best Companies To Work For"
Despite only having 0.5% of the US population, 7% of the top 100 companies to work for are in Silicon Valley... not too shabby. I have to share a little secret to getting the best deals downtown. 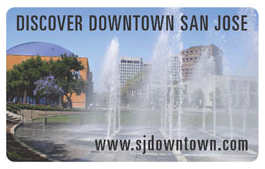 The San Jose Downtown Association has an affinity card called "Discover Downtown San Jose." What are the benefits? Show the card to participating restaurants and you can receive free appetizers, desserts, a straight discount up to 20%, or even a buy one entree get one free offer. There are a large number of participants including 19 Market, Arcadia, Bella Mia, The Brit, E&O, Eulipia, Fahrenheit, all Fairmont restaurants and their lounge, Hawgs, Habana Cuba, Maceio, Morton's, Penguin Froyo, PF Chang's, Scott's, Silk Road Bistro, and many more. There are even some non-restaurant offers like 20% off FedEX and UPS, free drinks at Camera Cinemas, and Comedy Sportz discounts. For the full list of benefits click here! You can pick up a card for free at the SJDA offices at 28 N. First (10th Floor) or at the Friday Farmer's Markets in San Pedro Square. For more information, have a gander at this San Jose Business Journal article. 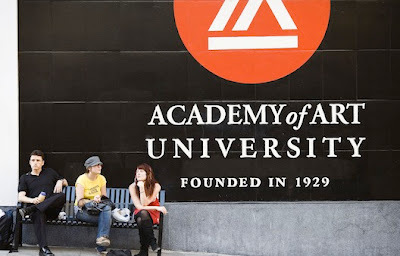 Academy of Art University in San Jose? 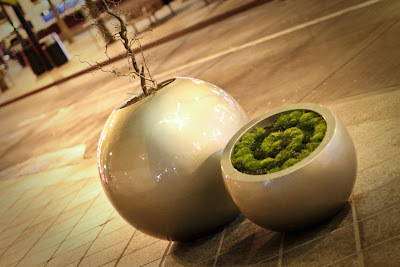 Beautification Project on 1st. St. Looking Good! 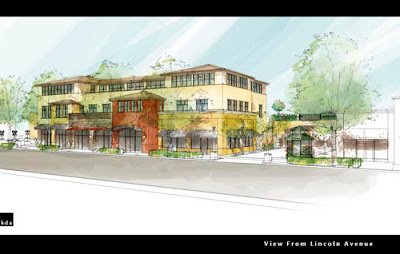 Last week a few more details were revealed regarding the San Jose Public market. The first 2 tenants have been announced! Taking the anchor spot on San Pedro St. will be Barefoot Coffee. Specializing in fresh organic coffee and based in San Jose (with only a single retail location in Santa Clara off of Stevens Creek), I'm sure this will be a perfect fit for the Public Market. High-end restaurants like Manresa and Parcel 104 choose Barefoot Coffee to serve, as does Zanatto's Markets. 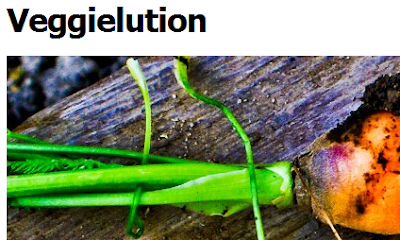 The second tenant, Veggielution, is just as interesting. These guys started on a mission to bring sustainable food to San Jose. They began growing fresh produce in the backyards of homes in Downtown San Jose and now have a one acre urban farm in Emma Prusch Farm Park (less than 2 miles away from Downtown). The only way to get produce more locally grown than Veggielution would be to have a farm on the roof of the Public Market itself. So far, I think we're off to a great start. Both of these vendors will help create a unique experience that you won't be able to find anywhere else, and I think they'll draw people from outside the immediate area Downtown as well. Zipcar Comes to the South Bay! Yesterday we hit a huge milestone. The largest car sharing program in the world finally comes to the south bay! Why is this important? Well for starters, it helps reduce the need to own a car in Silicon Valley. Our public transportation system needs a tremendous amount of improvement, and car sharing allows public transit users to have quick and easy access to use a car to get to places inaccessible via transit. Zipcar users also don't have to worry about all of the pains that come along with car ownership like insurance, car maintenance, gas, etc. I know plenty of people in SF that live perfectly fine (and less expensively) without owning a car thanks to Zipcar and similar companies. 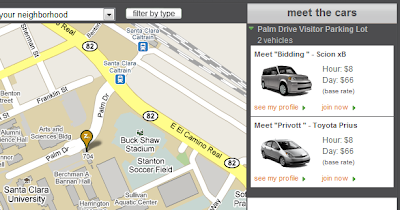 The first Zipcar location is going to be in the Bannon parking log at my alma matter, Santa Clara University. While not technically in San Jose, it's sure close enough. 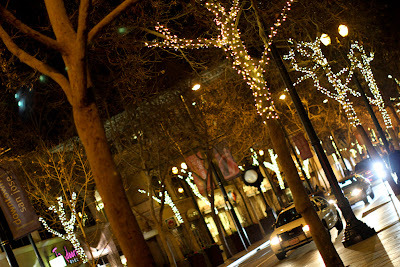 I'm sure students will be using the cars primarily to go party Downtown and shop at Santana Row/Valley Fair. Success is a certainty, and hopefully it will mean more Zipcar locations in South Bay. I'm going to go ahead and suggest the garage below The 88 Downtown as an awesome location for this (The 88 residents + Safeway + central downtown location + easy access). Plans for the future high-speed rail station in downtown San Jose call for walls as high as 87 feet, which some fear will create a "Berlin Wall" between midtown and downtown. The SJDA is pushing to reconsider an underground station. Steve Borkenhagen will deliver a presentation on the San Jose Public Market Jan 13. at the Theatre on San Pedro Square, 2:30pm. SLG Publishing is starting a new series of comic festivals. The next one will be Jan 16 at 577 S. Market St.
Fremont Bank is opening on 160 W. Santa Clara. Cafe One changed owners and should have some new menu options. Plans to improve St. James Park have been delayed due to budget cuts. The last "Destination Downtown" event brought in over 500 potential high-rise condo purchasers, resulting in at least 3 sales and several reservations. (This event coincided with both a South First Friday and Christmas in the Park, great choice in timing). To read the full newsletters, click here! Another very interesting project that seems to be progressing nicely is Little Italy San Jose in the River Street area of San Jose (first settlement of Italian Americans to San Jose during the late 19th century). You can see this location in the first image below. Highway 87 is just to the right of that photo and the area is bound by Almaden Blvd to the east and St. John St. to the south. 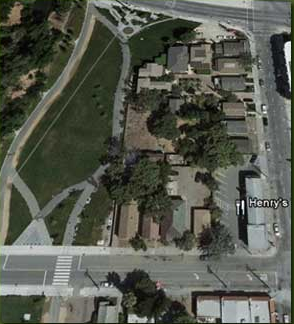 The idea is to fill the lease-able areas in this district with Italian businesses, to have 3 welcome arches into the area, and to utilize the 87 underpass to connect the Little Italy with the proposed Italian Cultural Center off Notre Dame Ave (second image below), San Pedro Square, and the new San Jose Public Market. This new district will be minutes away from Axis by foot. 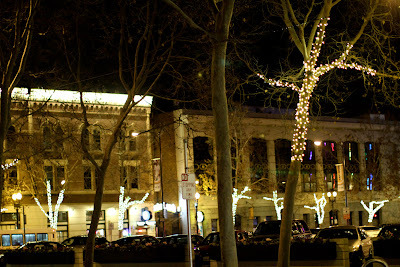 I've been reading up on the Little Italy San Jose Blog and Facebook page, and it looks like they have already leased out 2 spaces. The first is to the Sabatino Memorial Family Resource Center, basically an after-school program where kids can learn the Italian language along with Italian culture. I attended something similar when I was a kid for Portuguese language and culture, and I have to say it was worthwhile. 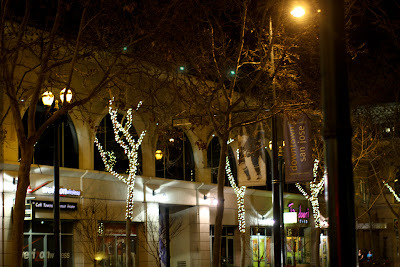 The second business is a restaurant currently located in redwood city called Siciliano Ristorante. I always get excited when any new restaurant comes to downtown, so I'll definitely be there opening month. Like the Public Market, I'll be keeping close tabs on this project and will post short blurbs whenever I get news or find out about new retail. 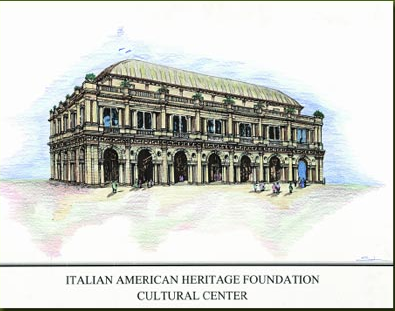 Couple images below, again the first is the Little Italy region and the second is the proposed Italian Cultural Center. Happy New Year everyone! Here's to an exciting and prosperous 2010!